The European Commission says plans to double the capacity of the Nord Stream gas pipeline sound bad for Europe, amid confusion on what Russia will really build. Energy commissoner Maros Sefcovic gave his “preliminary” opinion on Nord Stream at Globsec, a security congress in Bratislava, on Saturday (20 June). 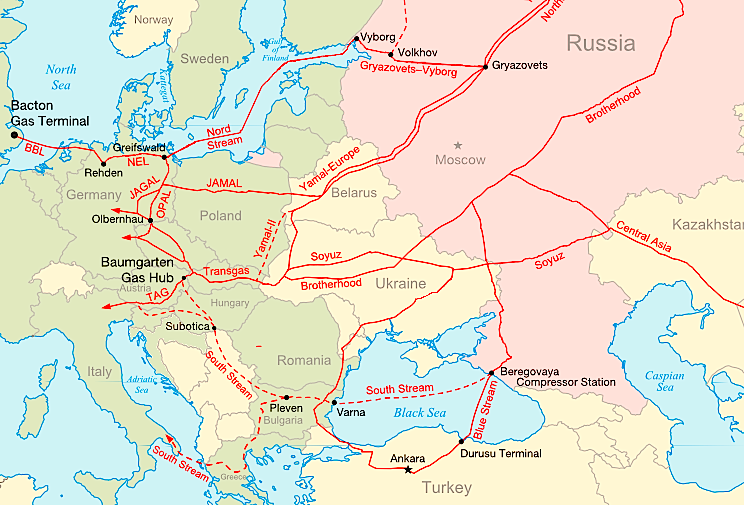 Russia currently sells gas to the EU via three routes: Nord Stream, under the Baltic Sea to Germany; Yamal, via Belarus; and via the Ukraine gas transit network (GTS). Sefcovic said if doubling Nord Stream means the end of GTS, it would harm energy security “because it’d reduce transit from three lines to two”. “On top of that, we would face a total gas imbalance in central Europe, because we’d suddenly have to transform transit countries [which pump GTS gas further west] into end-user countries [of double-Nord Stream] and we’d have enormous congestion down the road because the infrastructure isn’t ready for it”. He added that it makes economic sense to modernise GTS instead. 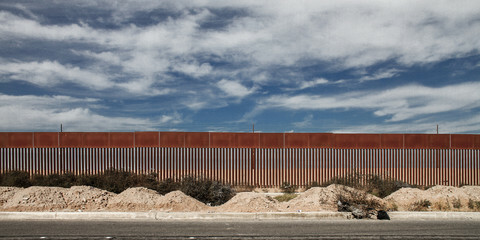 “We already have infrastructure which is under-used, which we can refurbish, and which we’re accustomed to", he said. Sefcovic spoke after Russia, last week, signed two non-binding memorandums. The first, with EU firms E.ON, OMV, and Shell, is to double Nord Stream’s capacity from 55 billion cubic metres a year to 110. 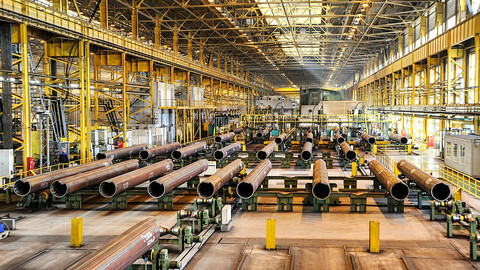 The second, with Greece, is to build a new pipe to connect south-east Europe to Turkey. Both are designed to kill GTS. Russian leader Vladimir Putin, last December, said he’ll stop Ukraine transit in 2020. Part of the old Ukraine gas is to go via Nord Stream and the rest via Turkish Stream, a new pipe under the Black Sea to the Turkish-Greek border. Turkish Stream replaces an earlier project, South Stream, under the Black Sea to Bulgaria, which Bulgaria put on ice when the commission said the contract, giving Russia full control, is against EU law. It would also mean huge losses for EU transit states, especially Slovakia. 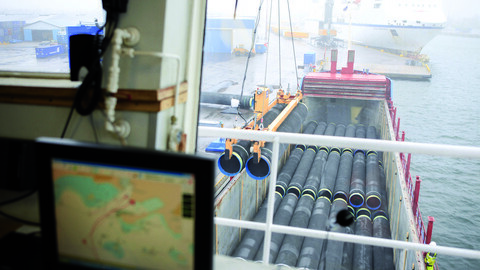 The Nord Stream memo adds to confusion on Putin’s intentions. There isn’t enough demand for double-Nord Stream, Yamal, GTS, and Turkish Stream. But when Slovak PM Robert Fico went to Moscow on 1 June he was told different things. 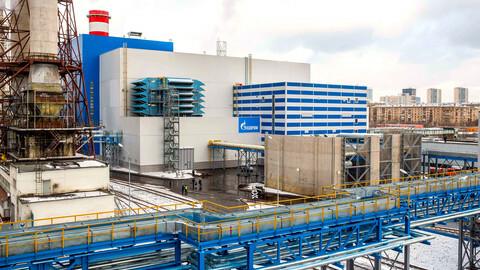 Gazprom, the Putin-controlled gas firm, told him GTS supplies will stop in 2020. But Putin himself said "no final decision is yet fully made”. The Bulgarian foreign minister, Daniel Mitov, told Globsec there’s no final decision on South Stream either. “South Stream is not officially cancelled”, he said. “We keep asking the Russian side: ‘Are you actually cancelling South Stream, as announced by president Putin?’. There’s no answer. All options are open”. 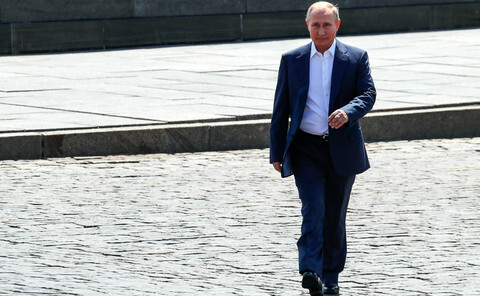 For his part, Fatih Birol, the head of the International Energy Agency (IEA) in Paris, noted that Putin is also threatening to divert EU supplies to China. “Some of the projects put on the table may be designed to improve the negotiating position of [Russia] … by showing European countries they have different options to choose from,” he told EUobserver. One Slovak diplomat, who asked not to be named, went further. He compared Russia’s pipeline communications to its “disinformation” campaign on the Ukraine conflict. “Some EU leaders keep meeting Putin and keep believing what he says. But he says different things to each of them and his actions don’t match his words,” he told this website. A second Slovak diplomat said the confusion is causing division. He described the Nord Stream memo as a “disaster” for EU solidarity because it looks as if Germany is putting its interests first. Member states which stand to lose the most from a GTS cut-off, Hungary and Slovakia, are already critical of EU-Russia sanctions. Greece, which stands to gain from Turkish Stream, is also critical. 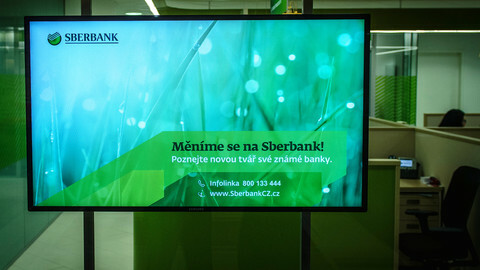 Mirek Topolanek, the former Czech PM, who now works for Eustream, a Slovak gas firm, added that the confusion is making Bulgaria less keen to invest in interconnectors - mini-pipes designed to reduce Russia-dependence by sharing gas inside the EU. “I advise you not to fight old wars. The decision on South Stream is over. 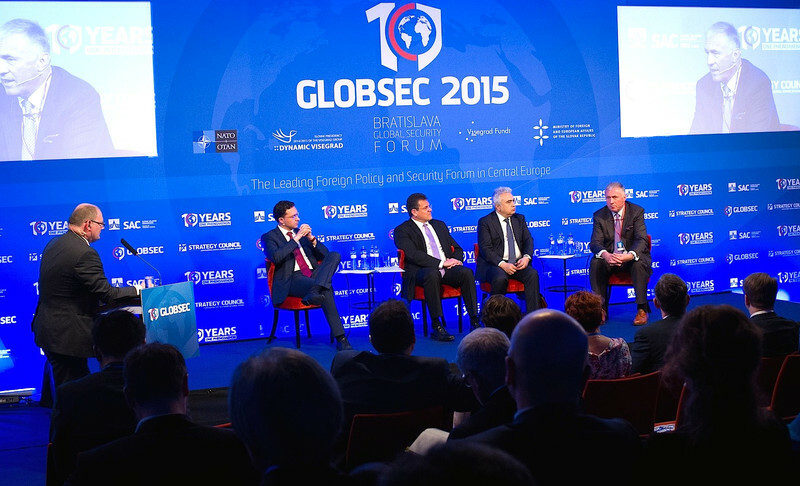 We have to decide how to realise north-south interconnectors”, he told Bulgaria's Mitov at Globsec. But Mitov noted that if Turkish Stream goes ahead it’ll make him look silly. “How am I going to explain to Bulgarian people why South Stream isn’t possible but Turkish Stream through Greece is possible?”, he said. “We did everything to comply with EU rules [on South Stream] and we expect the same from everyone else. When it comes to solidarity, we need to sit down and talk very seriously about [EU] strategy”. EU countries have agreed to extend the life of Russia and Crimea sanctions, despite Kremlin diplomacy. 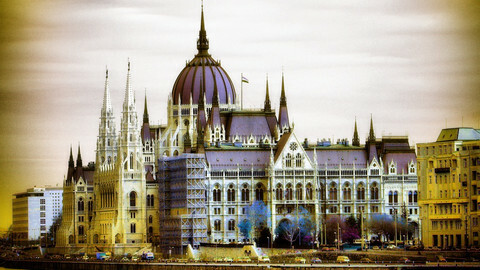 Greece and Hungary have endorsed plans for a Russian gas pipeline in the latest blow to EU unity on the Ukraine crisis. EU energy ministers seem in no rush to respond to a recent announcement by Gazprom, which urged the EU build new infrastructure to Turkey. 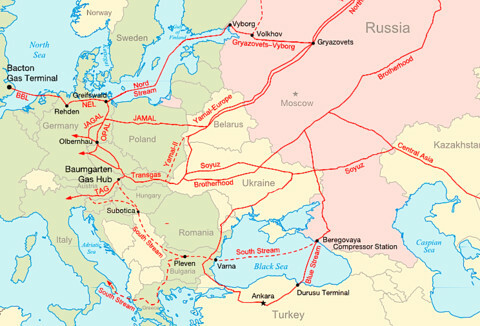 Bad will, legal disputes, and the "high politics" of the Russia-Ukraine conflict have, again, put EU gas transit at risk. Film studios like to back sequels as safe options, but why's Gazprom doing a follow-up to its German gas pipeline story? Russia's strategic gas pipeline to Turkey will be built later than planned and will be half its original size, Gazprom has said.